“What I Wish I Had Known” is brought to you by three thirty somethings talking about life events, the ups and downs, and what we wish we’d known and would like to pass on to others. We believe when women share their stories honestly and openly that is when real change begins to happen. 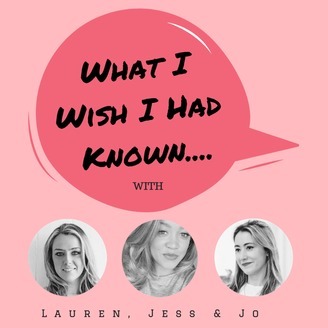 Show website: https://www.whatiwishihadknown.co.uk/ Lauren’s Instagram: https://www.instagram.com/theparentingchapter/ Jess’s Instagram: https://www.instagram.com/thefatfunnyone Jo’s Instagram: https://www.instagram.com/lobellaloves_jo. This episode contains the discussion of sensitive topics that may be triggering to some listeners. 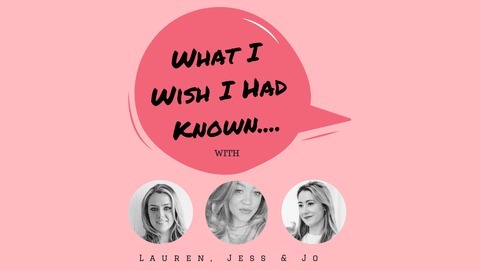 Lauren, Jess, and Jo along with mental health campaigner, author and vlogger Jonny Benjamin MBE discuss the topic of suicide. The show starts with the story of how he was talked off a bridge by a complete stranger. Jonny then opens up about his search for that stranger through the now famous, “Find Mike: campaign. The group also discusses why people do it, why it’s the opposite of selfish in their eyes, suicide among men, talking about it with children, the general state of mental health facilities, and much more.